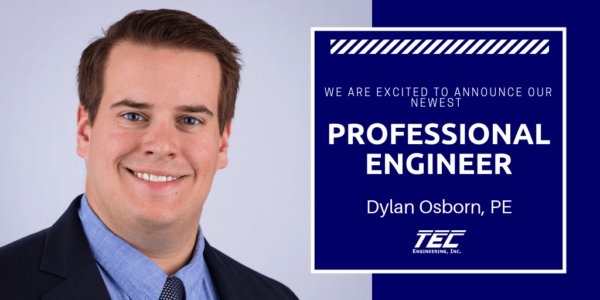 TEC is proud to congratulate Dylan Osborn for receiving his Professional Engineer (PE) certification! Dylan has worked at TEC since 2014. He is responsible for signal design, signal timing, asset management data collection, data analysis, and engineering studies.